Need money and help for your creative solution to connecting our community? You’ve come to the right place. Charleston’s Upper Peninsula (UP) is 836 acres of neighbors, businesses, churches, cemeteries, and big roads like Upper Meeting, Morrison and Upper King. At Enough Pie, we aim to connect communities throughout UP creatively to help craft a stronger neighborhood. We created UP-Start to help fund and support creative ideas in the Upper Peninsula. 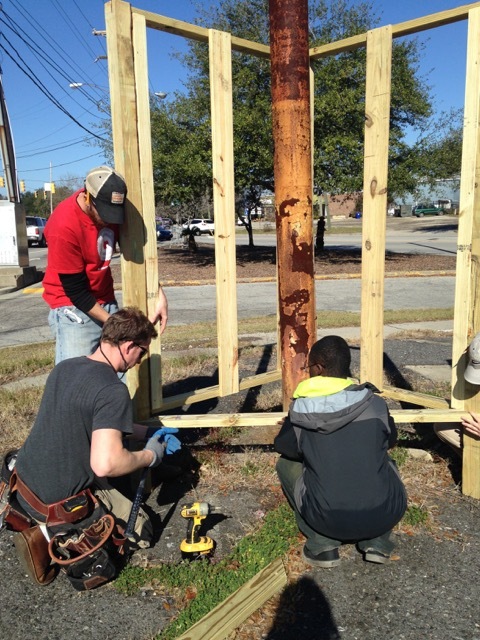 So far, Enough Pie has funded over 10 projects, including a mosaic hopscotch for the Romney Street Urban Garden and Lowcountry Barbers & Books. 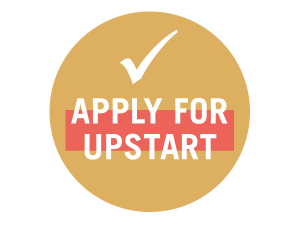 Step 2: Apply There is no deadline to apply for the UP-Start grant. Artists and creative citizens can submit project ideas throughout the year. Awards range from $200-$1,000, and are based on the size, scope and impact of the project. The more folks you partner with in the neighborhood, the better! Step 3: If accepted, applicants will complete an interview. If selected, EP will help you throughout your project as a collaborator! Step 4: UP-Start your project. Apply for Upstart Seed Money now! • Get creative and think outside the box. • Funding is limited to individuals only (no organizations please). • All ages are welcome to apply. • Enough Pie will act as co-partner with the individual grantee to help facilitate project execution and implementation such as partnership opportunities, administration and promotional efforts. Please contact info@enoughpie.org with questions. Click here to learn more about the program’s first grant recipients. All applications must be completed and emailed to info@enoughpie.org. If you would prefer to pick up a paper application please stop by the John L. Dart Library at 1067 King Street. Need inspiration? Click the links below to check out our previous UP-Start projects.